Before tweaking to your windows it is necessary to make a restore point first.So Creating a restore point is always beneficial when you are going to do some thing that make you in trouble.So it is necessary to make a restore point first before doing some changes in the system.so how to make a restore point let see.1. )Right Click on Computer and click on properties. 2. )Computer properties window will open after that click on Advances system settings . 3. )Now in Advances system settingswindow click on system protection. 4. 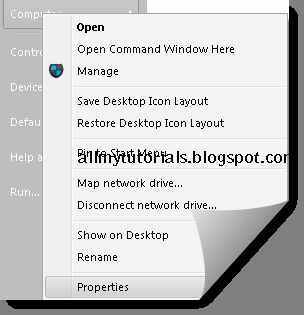 )Now in protection settings scroll down to C Drive and select it and after that click on Create. 5. 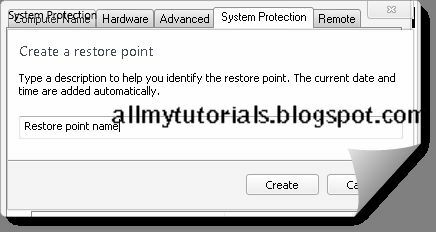 )Now in opened window enter the name of the restore point. 6. )If you have any problem you can also my video blow doing all the steps. I hop you like my this post if you hav any query please leave comments in below comment section and don’t forget to subscribe and like my blog .